It really is. We better do something about it, because bits of Japanese video game history have already vanished forever. This weekend at BitSummit, game preservation was in my mind as I sat down to talk with Grasshopper Manufacture’s Goichi Suda. He, perhaps, is as good as anyone to discuss Japanese game history with as the game creator readies an HD version of his 1999 PlayStation 1 title The Silver Case. That doesn’t seem that long ago, but in internet years, it might as well be 1899. “This is my debut title,” Suda told Kotaku. “I’ve always wanted to re-release it. 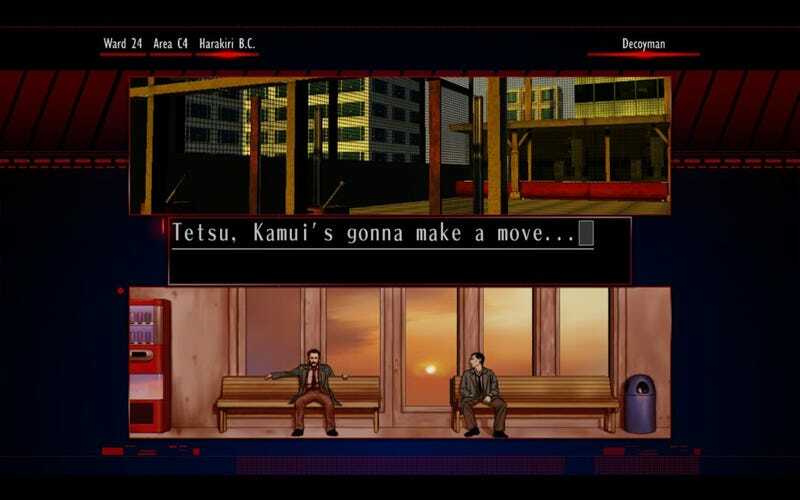 But doing that was complicated.” The Silver Case wasn’t originally released outside of Japan, and there are intrinsic issues with the game, such as the way it was written and the story, that Suda wasn’t entirely convinced could be translated into English. So far, he’s been happy with the results. But there was a more difficult task: Getting the game into HD. “Some of the data, we had,” Suda said. “Some of it we didn’t and had to remake it.” Even if old, original data still does exist, it might be difficult to easily read on modern tech. Because studios and game creators haven’t always future-proofed their work, some of it is being lost. Some companies, however, are more aware than others of the need to preserve games. “Capcom seems to be very good about keeping its original games and then updating them and remaking them like it has done with the Resident Evil series,” Suda said. As mentioned, not every Japanese game company has been like that. While at BitSummit, I talked to another dev who worked at a famed Japanese arcade game maker, and according to him, that company was known to chuck old cabinets, games, and docs it didn’t think were worth storing. That’s the problem, though. Some companies might look at such items as a waste of storage space, but game historians and fans would see them differently. These artefacts are moments in time. They’re history. “It reminds me of how the movie industry lost so many silent films,” I told Suda. “People then didn’t think they were important enough to save or they were shot on film that was difficult to preserve. The Silver Case HD Remastered Version will be released on PC worldwide this fall.